Ellowyne Wilde needs some special adjustments for the outfits to work for her. 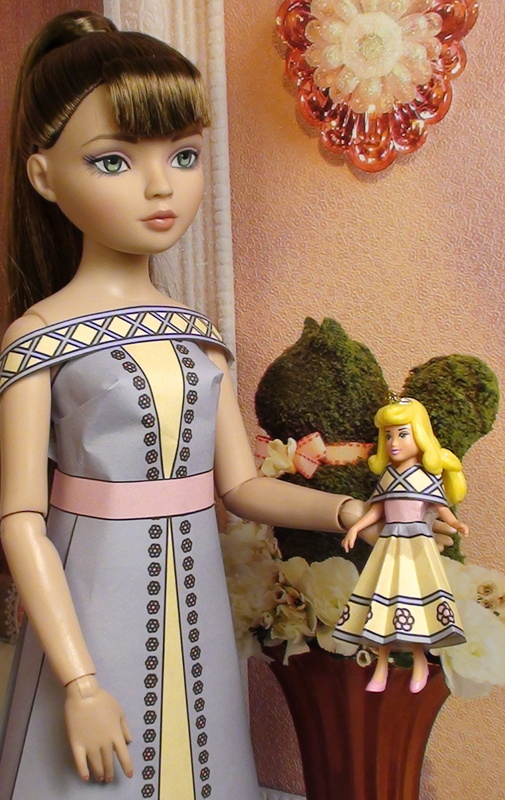 These instructions also work for some other dolls similar in size to Ellowyne, such as 18″ Kitty Collier and Tyler Wentworth though exact details on those dolls may be a little different. Immediately after making this video I realized it would be easier to fold the front top piece first, take it off, then fold the back piece and add the front piece again afterwards. Also, you may want to trim away some of the excess on the edge of the back top piece. For the top, I either leave some white around the edges of her top so it will connect in the back or I use two top pieces, one in the back then one in the front over it. 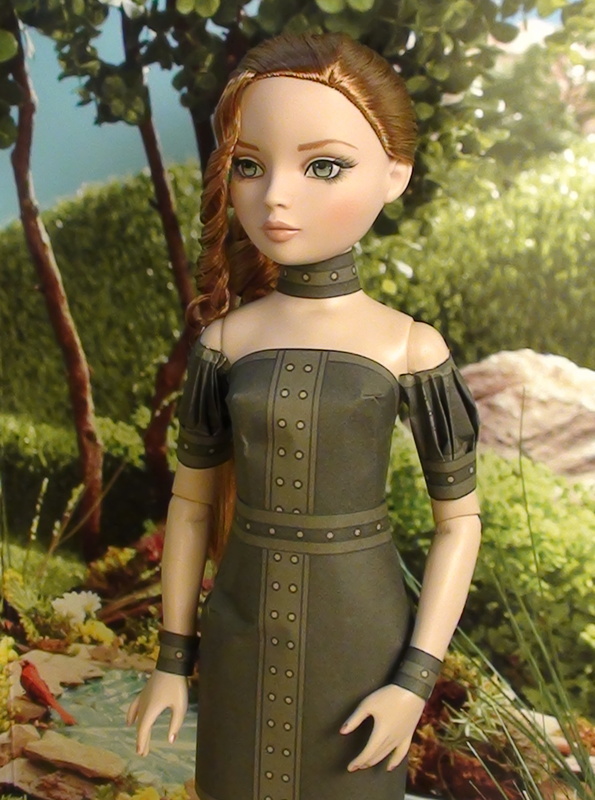 For shoulder straps she needs belt pieces instead of the normal strap size. The straight skirt works great for her if you flip it lengthwise and use two straight skirts taped together at the edges. For this dress though I used the skirt in the normal orientation, which makes it a bit short but the design of the skirt looked better this way. I still needed two skirt pieces although the gap was not as big with this orientation. She can wear small half circle puff sleeves. I used strap pieces around her wrists and neck for jewelry. You can see the two different lengths of skirt in this picture. The circle skirt is also rather short and will need an extra piece in the back for it to go all the way around. You can see more about this dress for Ellowyne in this post.